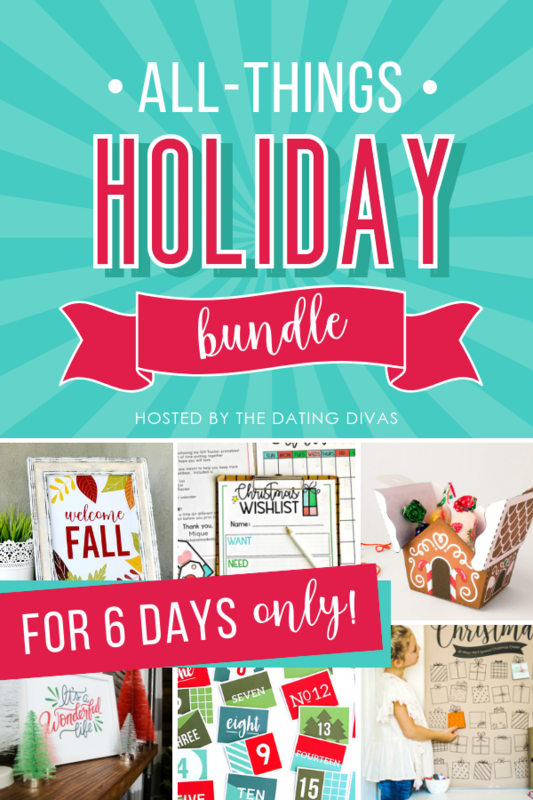 The holidays can get real crazy really fast, in an effort to help out… enter the All Things Holiday Printable Bundle! Get ready for a more organized, tradition-filled, and spirited holiday season…I’ve teamed up with 15 extremely talented bloggers and designers to create another annual..All Things Holiday Bundle. Holiday decor, countdowns, activities, planners, gift ideas, and MORE—all from your favorite bloggers. It has OVER 380 PAGES of printables! And OF COURSE, we slashed the price! So much that you’ll think it’s a typo. It’s not. You can get over $200 worth of ADORABLE items for only $15-$20! You’ll have to ACT FAST because this deal only lasts for SIX DAYS. This is a 6-Day sale, but the price goes up a little each day. Buy early and SAVE BIG. But if you wait too long (after the 20th at midnight MDT) and this deal will be gone FOREVER! One of those ALONE can be around $20 on Etsy. And you get everything for this price. 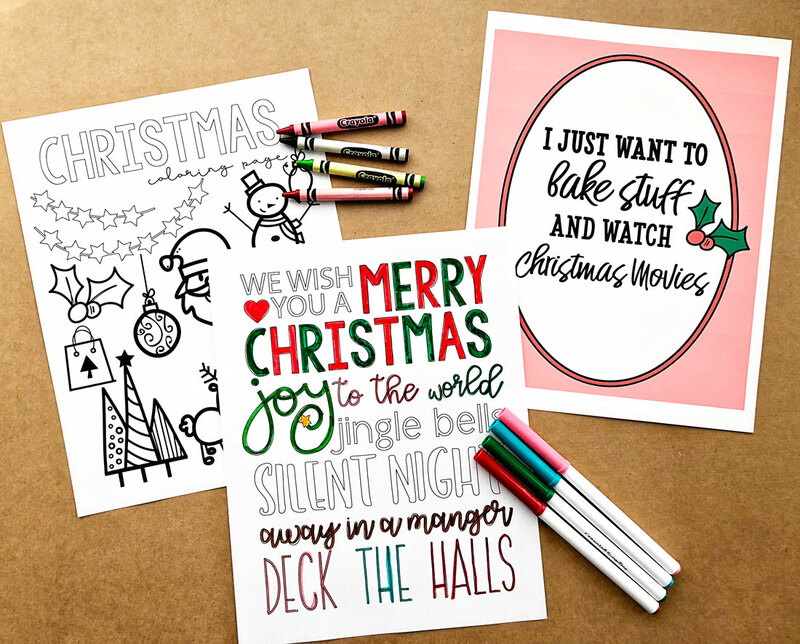 WANT TO TAKE A CLOSER LOOK AT WHAT HOLIDAY PRINTABLES ARE INCLUDED? 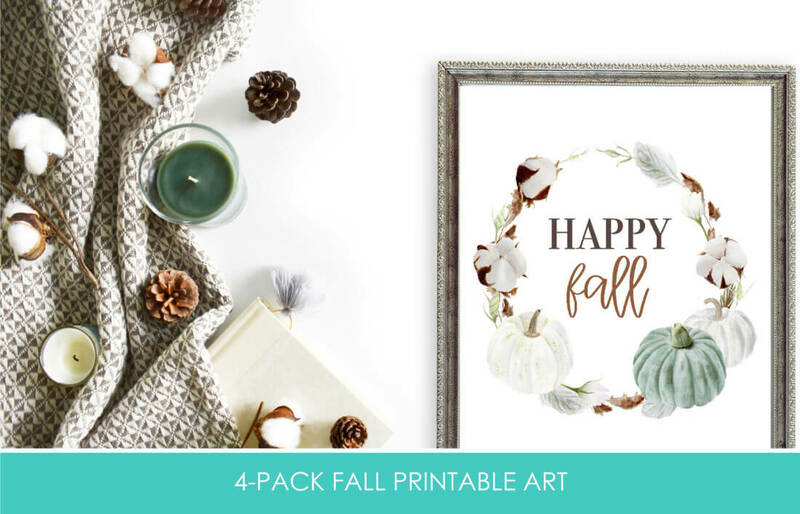 If you’re looking for the perfect art to warm up your fall space, this 4-piece art is fab to print and frame on your Thanksgiving table, as an invitation, as a thank you card or even a banner to display on your fall mantel. This holiday planner is not your average planner, it’s your personal manager! 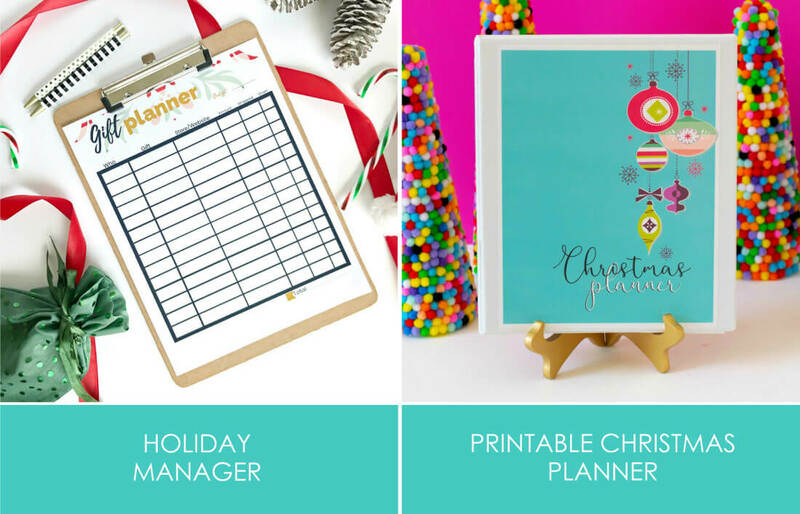 Stay organized this holiday season with a gift planner, decor inspiration checklist, meal planner, event schedule, & so much more. This is your chance to say bye bye to the stress of planning for the holidays. Christmas is the same day every year, but it still manages to sneak up on us! Use this printable Christmas Planner to get organized for Christmas so you can actually enjoy the holiday season. This planner includes everything from budgeting to meal planning to party prep to Christmas shopping and *SO* much more! 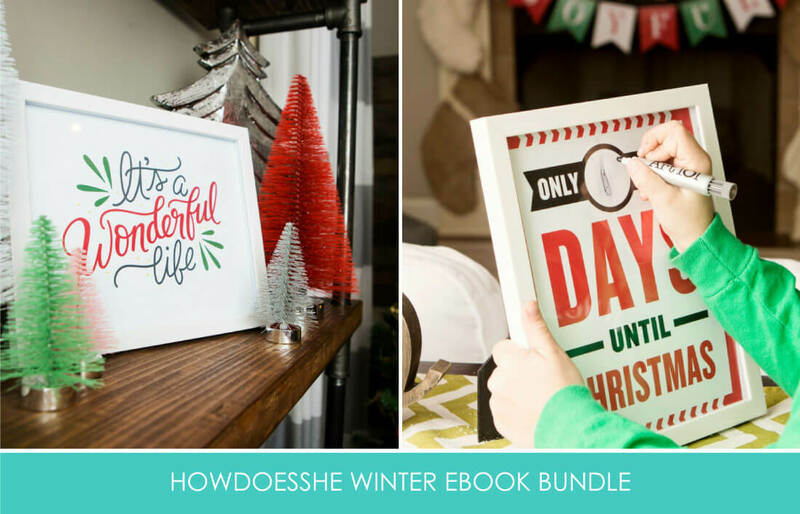 5.Winter eBook by How Does SheThis winter ebook includes over 200 pages of our BEST recipes, ideas and picture tutorial projects PLUS 10 fun printables to get help you be ready for the winter months! 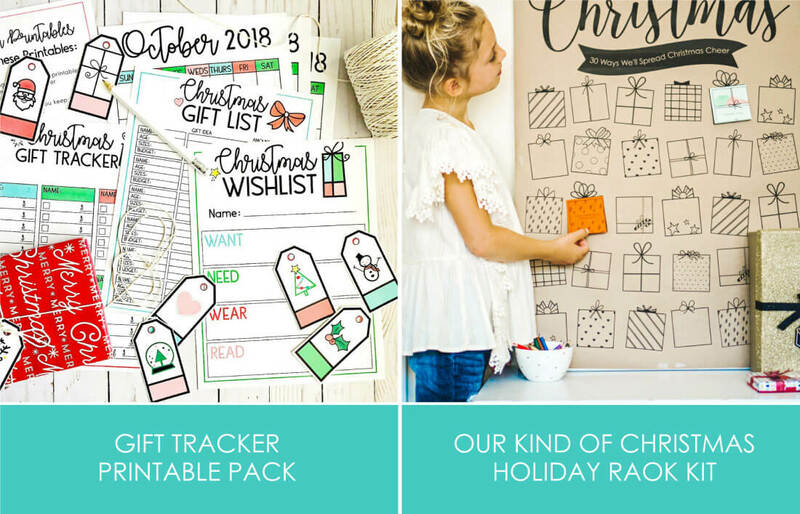 6.Gift Tracker Printable Pack by Thirty Handmade Days – Yep this one is by me! Don’t let gift giving for the holidays stress you out! Plan it all out with these bright, colorful Gift Tracker Printables! 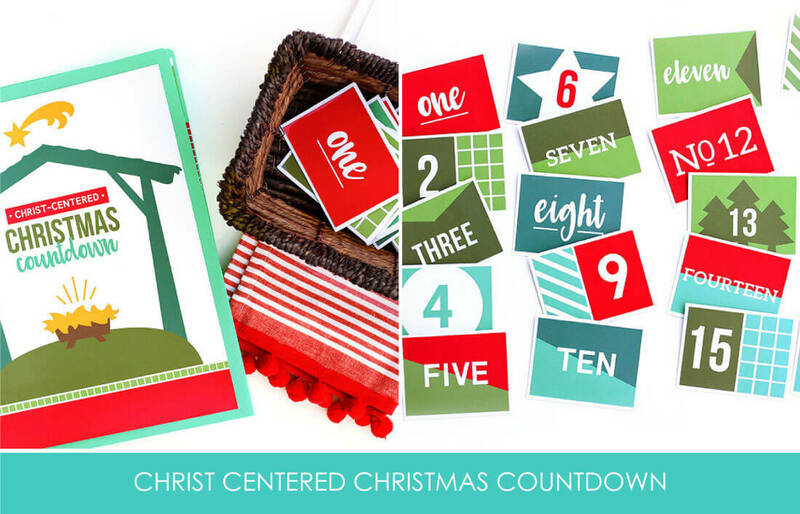 With a calendar, checklists and more you’ll be all set this Christmas season. Celebrate the life of Christ this season by serving others with 100 ideas of simple service you can perform with your family! Document your “Kind” Christmas with these gorgeous, customizable engineer prints and fun, unique sticky notes. It’s beginning to look a lot like Christmas Tags! 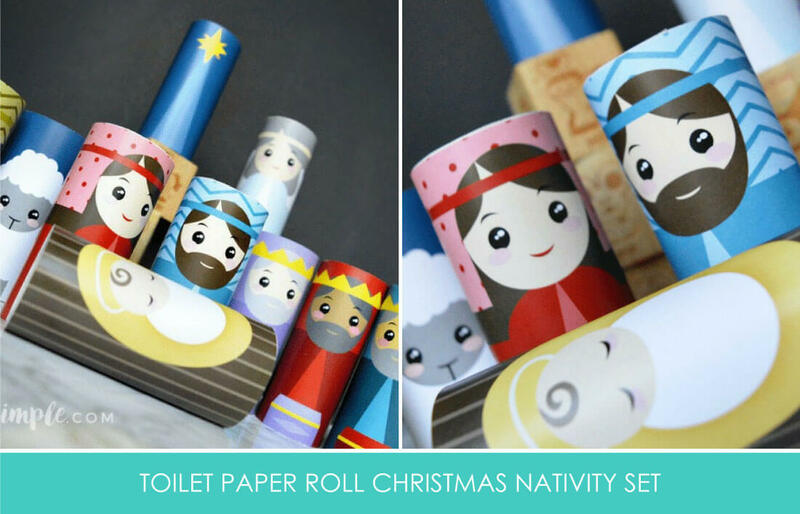 Gift wrapping has never been easier or cuter with Merry & Bright Christmas bundle. We have tags, Prancer, and Word Ribbons to add JOY or make up your own ribbons with the blankity blank ribbons. Ho Ho HO! 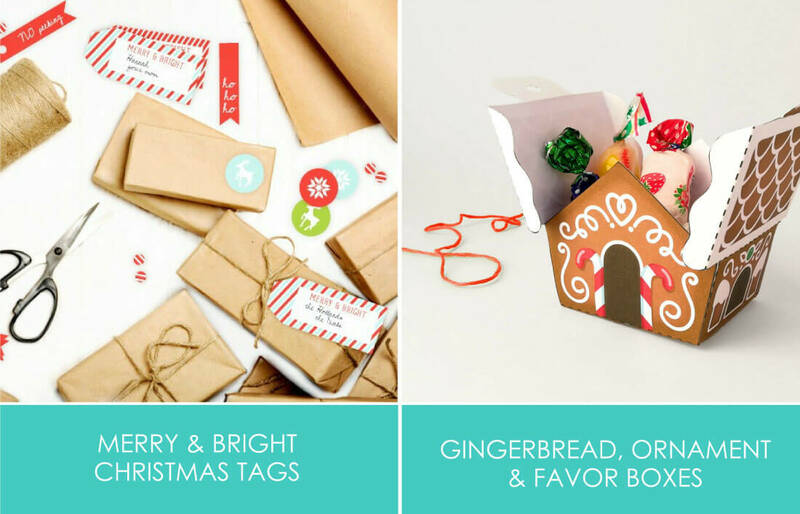 These two adorable DIY Christmas ornaments are also favor boxes! Print as many as you wish to hang in your Christmas tree, or to make cute gifts. This yummy gingerbread house tree ornament is super easy to build, and can be filled with treats to make a cute holiday favor box! The perfect stocking stuffer for your favorite kids! Who really wants more mostly-useless junk floating around the house after all those new Christmas presents are opened?! 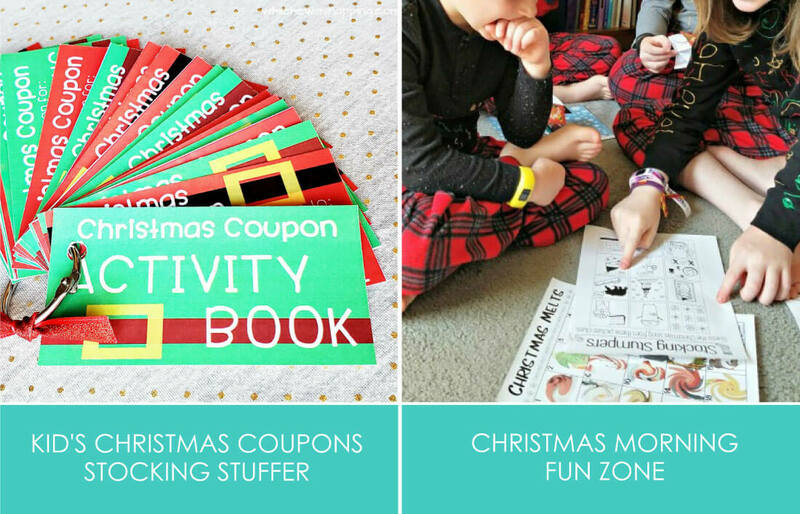 With this Activity Coupon Book you can give your kids a gift they will be able to enjoy long after Christmas Day and that will help with those wintery days before the kids go back to school. Just print out, cut apart and package it up – you can even customize your coupons with the editable PDF file! Give your children a morning of fun while they wait for you to wake up on Christmas. Keep them occupied with Would You Rather questions, I Spy sheets, Christmas Jokes, Stocking Stumpers, and so much more! With over 60 pages of printables they will actually let you get some sleep! Now that’s a Christmas present worth unwrapping! 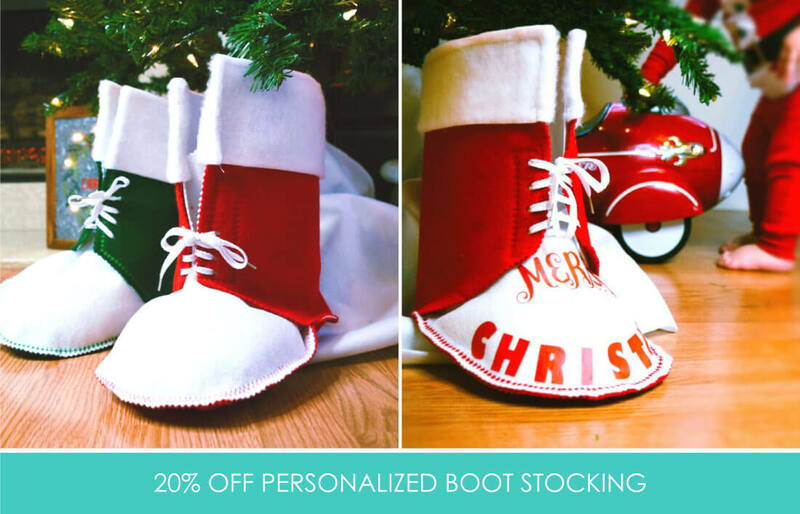 Inspire your new family tradition this year with personalized toe Santa boot styled stockings! Handcrafted in their unique design, each boot stands about 9″ tall and can be filled with Christmas treat joys and love. 14. 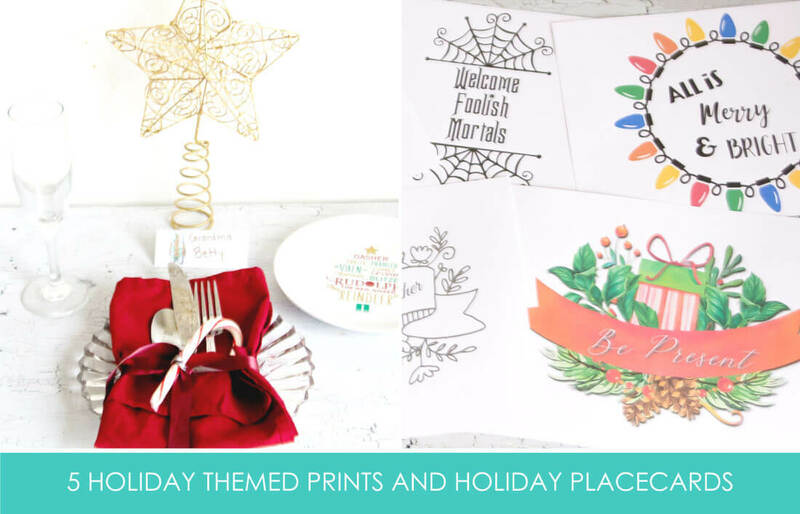 5 Holiday Themed Prints & Place cards by Our Happily Ever After -5 Holiday printables that can be used from Fall to Christmas time! Plus place cards for those holiday dinners to be sure everyone knows where they’re sitting! Print them out on your home printer on cardstock or photo paper or at your local print store! In the hustle and bustle of daily life, it is easy to mistake busyness for productivity. 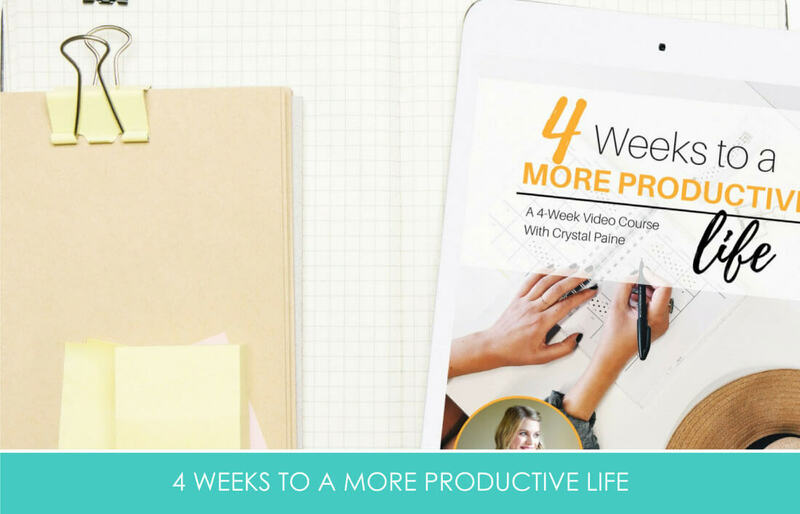 In 4 Weeks to a More Productive Life, I want to help you systematically break down the most common barriers keeping you from really improving your productivity and help you put in place proven, effective strategies to help you accomplish more while stressing less. During this program, you will be encouraged to follow along with the weekly video, lesson, and project to keep you on the path toward accomplishing your goals! Nothing is more exciting than dreaming about what the future holds for you and your beloved. What if we told you that you can turn your dreams into reality with a bit of planning and goal setting? It’s true! 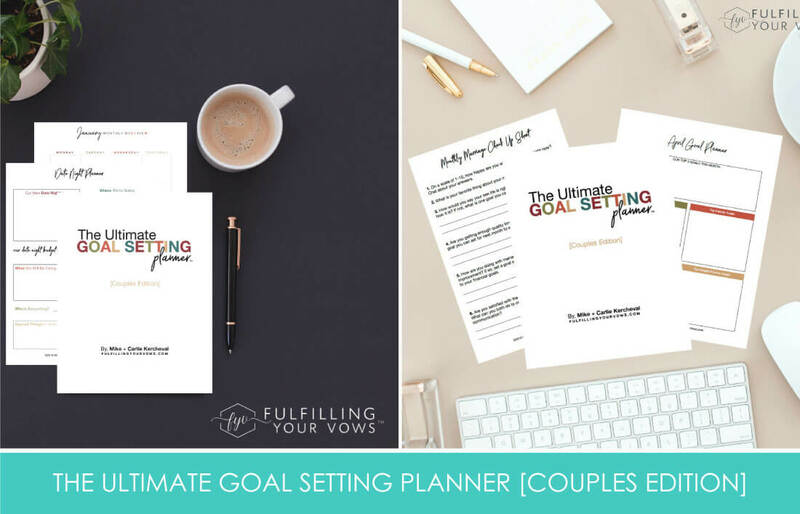 The Ultimate Goal Setting Planner [Couples Edition] is the tool you need to create + accomplish the marriage of your dreams! Decorating for every holiday doesn’t have to be a hassle! Finally, easy, year-round decorations for you to use. Each month has two design options and two sizes (8×10 and 11×14) for you to choose from, or to switch out more often. 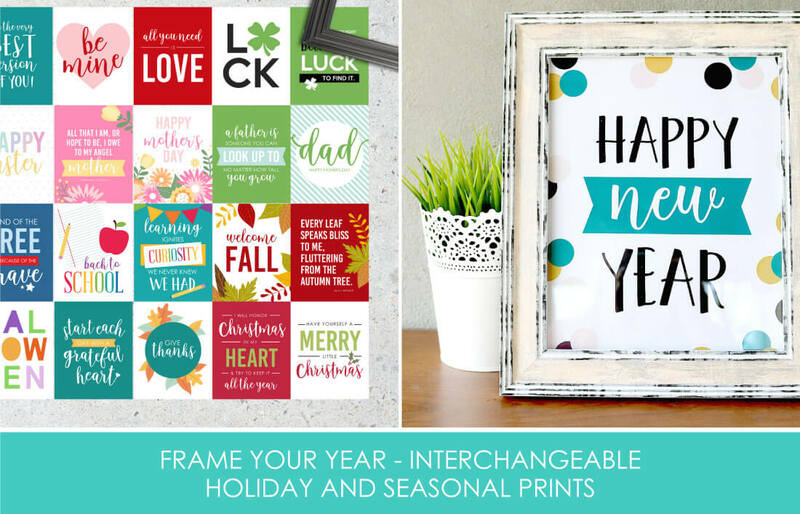 Simply print, pop in an adorable frame and switch out for each month, holiday or season! 18. Celebrate The Seasons Holiday Cookbook: by Ashley’s Fresh Fix -The holidays can be even healthier and delicious this year! Enjoy the festive celebrations with your friends & family by making a few healthy twists on holiday favorites! Its a win win! 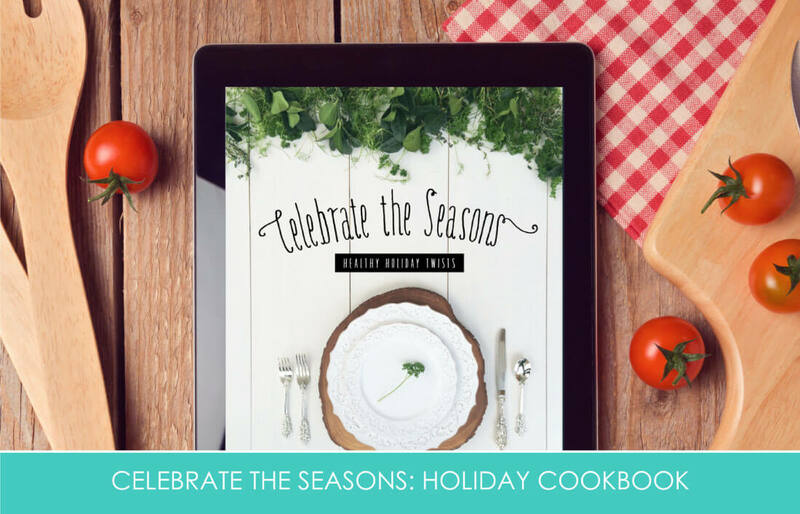 This ebook contains over 40 recipes to use throughout the year for ALL the holidays. New Years, Valentines, St Patricks Day, Easter, 4th of July, Halloween, Thanksgiving & Christmas recipes that are all full of nutrition without sacrificing flavor. Enjoy healthy twists on some classic recipes, as well as new recipes that will become new family favorites! Here is a holiday coupon code you won’t find anywhere else for our store! 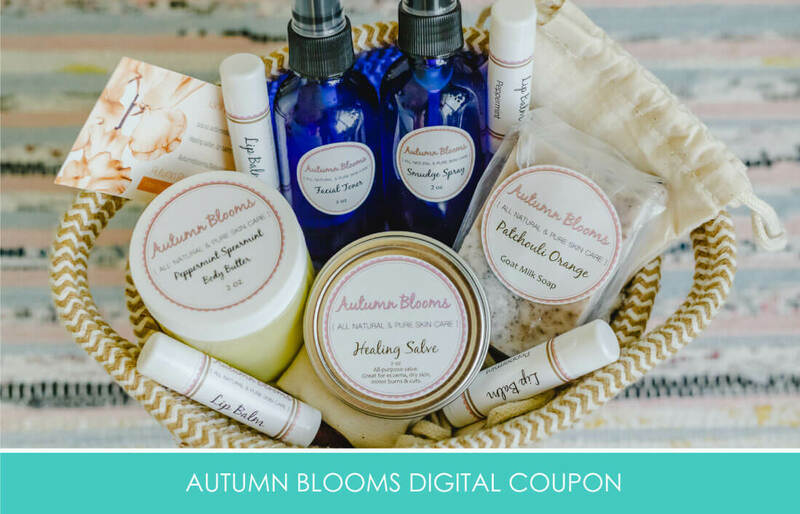 At Autumn Blooms, we have all your natural, handmade lip and skin care gifts covered. Our peppermint & spearmint body butter and peppermint lip balm are sure to boost anyone’s holiday spirits! The price JUMPS every two days of the sale! It’s only available for SIX DAYS and then you can never get it again! Midnight MDT on the 20th, this deal is gone FOREVER!